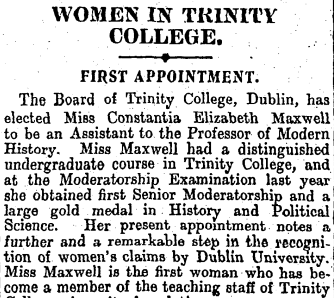 The first female student of Trinity College Dublin. | Come Here To Me! 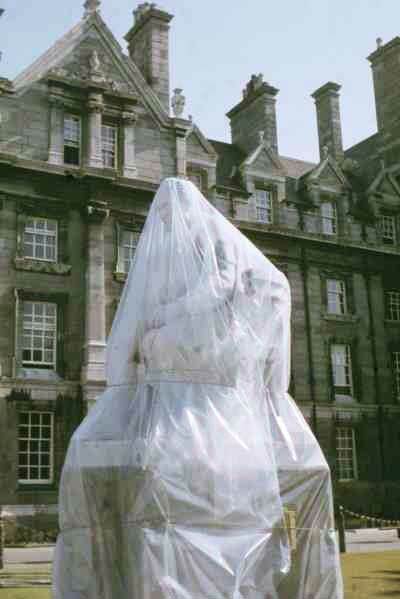 The first female student of Trinity College Dublin. In January 1904, the short notice that “the Board of Trinity College have received a letter from the King authorising them to admit women to the degrees of Dublin University” appeared in several Irish newspapers. This was the end-product of many years of debate among the Board of Trinity College Dublin and university society more broadly speaking. The first female student to enter the institution was Isabel Marion Weir Johnston. She hailed from the north of the country, and was the daughter of Sir John Johnston, who had been a prosperous businessman in Derry and was a former president of the ‘Londonderry Chamber of Commerce’. In a 1964 article on the subject of Trinity’s earliest female undergraduates, G.C Duggan wrote that “those women undergraduates of her time who are still alive have vivid memories of her remarkable personality shown not so much in brilliance in examinations as in outstanding character symptomatic of the new world of the 20th century.” Johnston organised dances, tennis tournaments and established the Elizabethan Society, an important society as women were barred from the major societies right into the 1960s. George Salmon, the Provost of Trinity College Dublin from 1888-1904. I had to keep my terms by examination and was not allowed to attend lectures. Dr. Salmon had said that women would only enter TCD over his dead body, and when I arrived in Dublin in January 1904 I was informed that as he had died that day, the examination had been put off until after the funeral. There were very real restrictions on Isabel Marion Weir Johnston and other early female students in the university, who were essentially shielded away from the male student populace, and who did not enjoy many of the same rights of their fellow students, such as the use of dining facilities. The graduation of the first female students from the university was reported in December 1905, with the Provost of Trinity College Dublin addressing female graduates and their guests in the dining hall the institution, a place ironically normally off-bounds to them. 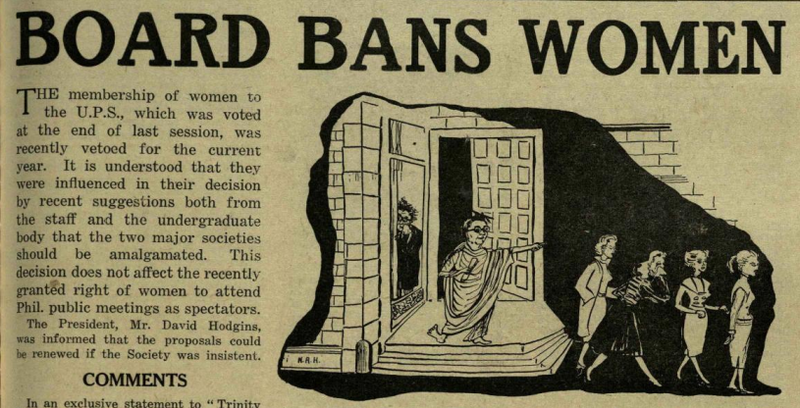 While women may have entered Trinity College Dublin as students as early as 1904, there were restrictions on their rights as students right into the 1960s, which included a ban on joining major societies, and being off-campus by 6pm. Speaking in the 1950s, Dr. Owen Sheehy-Skeffinton told one Trinity College newspaper “women form half the society with which one has eventually to come to terms.” Today, there is a female majority in the student body of Trinity College Dublin. Marie Hayes from Raheny was not admitted to Trinity to study medicine and had to go to what later became the National University. 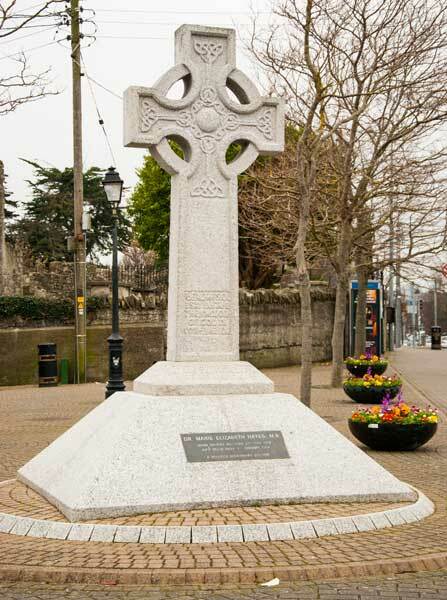 And there is a replica of this cross in the new Memorial Garden in the grounds of All Saint’s Church Raheny. Marie was the original Rector’s daughter. 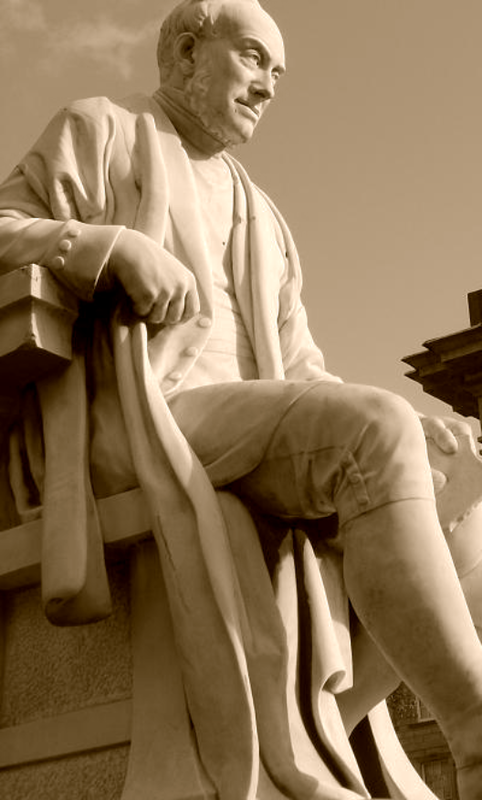 Provost Salmon in the embryonic state. Many moons ago.